Have you been told that you have gum disease? But nothing has bothers you or hurts you? 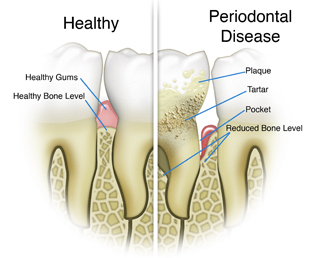 Why is gum disease important? Keeping your gums healthy is just as important as preventing/treating cavities. Gums are what keeps your teeth attached to your head! If you have gum disease, this attachment is gradually lost, and your teeth with will eventually get loose and come out. Gum disease is usually asymptomatic until it’s too late! Just like diabetes, high blood pressure, or heart conditions, many people don’t know they have it until they see a health professional. If your gums start hurting due to gum disease, it may be too late, and we may have to remove your tooth. That’s why it’s important to see your dentist/hygienist frequently to monitor your gum health! 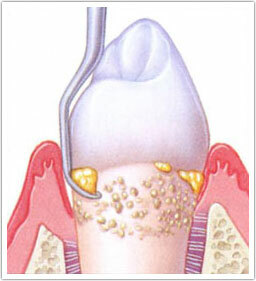 Gum disease is treated with a Scaling and Root Planing (often referred to as “Deep Cleaning”). During a Scaling and Root Planing appointment, debris and contaminants inside your gums will be cleaned out. Often times, local anesthetic is needed to anesthetize the gums to facilitate a thorough deep cleaning. Depending on the situation, the deep cleaning may be performed in one or two appointments. Once you receive gum treatment, it isn’t over! Just like high blood pressure and diabetes, gum disease is not something that is cured, but rather health is maintained. Improving your home care and having frequent checkups are important in preventing future gum disease. 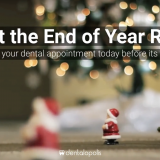 Your dentist or hygienist will review with you how to improve home care, and create a maintenance plan for you. 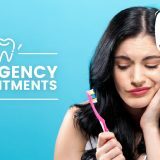 In extremely advanced gum situations, additional treatment such as localized antibiotics or minor gum surgery may be indicated to stabilize your gum condition.